CMSRI will contribute 0% of the total of the project’s expenses to overhead. The Children’s Safety Medical Research Institute funds research into critical but previously unexamined areas of vaccine safety, including assessing safety of ingredients, preparations, combinations and schedules. The application process is streamlined to enable applicants to submit applications without some of the undue paperwork of other granting bodies. At the same time, the applications that are funded must be innovative, scientifically rigorous, and feasible within the constraints of time and funding. Further, it is expected that successful projects will be published in peer reviewed journals. What is the problem being addressed? Why is it important overall and more specifically what does this contribute to the goals of CSMRI? A hypothesis(es)should be clearly articulated in this section. A brief, focused review of the primary literature is essential. Preliminary data should be mentioned. These can be directly related to the proposed project as in pilot studies, or may simply demonstrate expertise with one or more of the proposed methods. Experimental strategy: which experiments will be performed and in which order? What is the rationale for each? What are the expected outcomes and what pitfalls might prevent such outcomes. Alternative experimental strategies should be suggested. 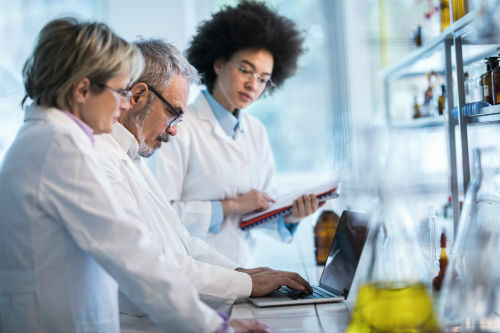 Methods and materials to be used should be described in sufficient detail to allow reviewers to determine the feasibility of the proposed experiments.